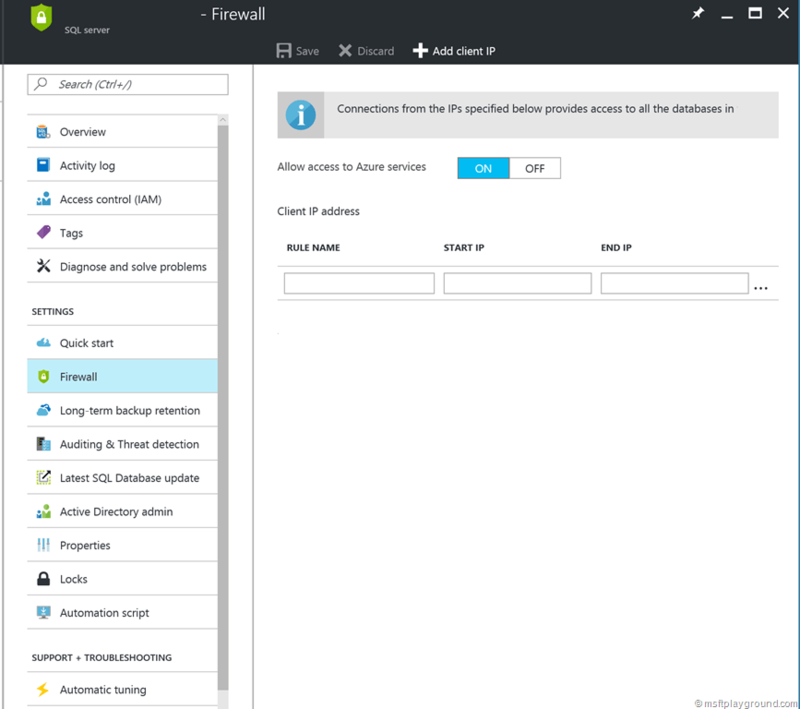 Open the Azure Portal: https://portal.azure.com. Click on Resource Groups and then the resource group of the SQL server. In the Resource Group blade click on the SQL server. Within the “Security” Category click on “Firewall”. Add your Client IP within this blade. Click on save to save the settings. Until today I navigated to the website: https://www.whatismyip.com/ to retrieve my external IP and add it via the steps mentioned above but today I noticed another option (I think it already was there for quite some time). Within the firewall blade you can click on “Add client IP” to add your current client IP. it worked!, very good article. Thanks!